Supergirl... super-captured! 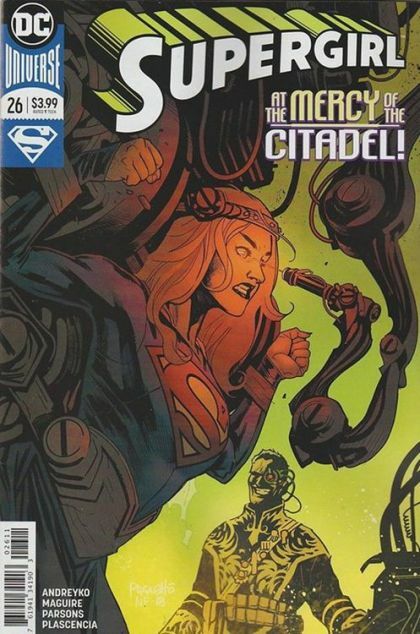 Still recovering from radiation poisoning, Kara finds herself in the clutches of the Citadel and its ruthless leader Harry Hokum, who is eager to experiment on one of the last Kryptonians in the known universe. How is Kara supposed to track down answers to her Rogol Zaar/Krypton mystery in the midst of a Vega System civil war? And you don't throw a civil war in the Vega System without the Omega Men returning-even some long-lost ones!